Lightning Ridge is a mining town in New South Wales. It has the planets richest deposit of black opal. 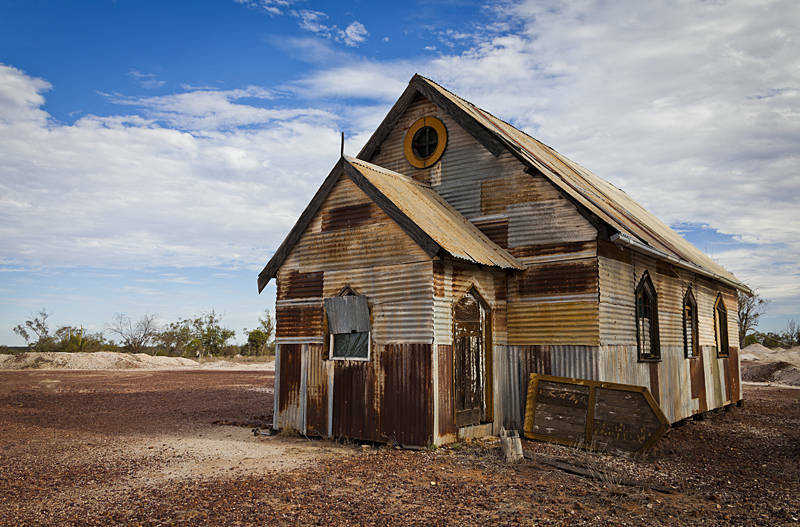 This corrugated iron building was used in the film The Goddess of 1967, which is about a Japanese man who travels to Australia to buy a car. So you have found somewhere you can afford ! The estate agent said it had unrivalled development potential.